Federally regulated marijuana companies caught using banned pesticides that put consumers' health at risk will now face fines of up to $1-million per violation, The Globe and Mail has learned. The fines will be enshrined in federal legislation as a way to clamp down on unauthorized use of dangerous chemicals by licensed cannabis growers, according to Health Canada. The new penalties come after an investigation by The Globe this year revealed banned pesticide use in the medical-marijuana industry was far worse than the government realized, resulting in serious health consequences for people exposed, including cancer patients who took the drug to ease their pain. The legislative changes will "provide the Minister of Health with the authority to issue an administrative monetary penalty of up to $1-million per violation to a licensed producer for a violation of the Act or its regulations," Health Canada spokeswoman Tammy Jarbeau said. Any company that does not comply with the fines could have its operating licence suspended or revoked. The Globe's investigation found evidence of intentional use of banned pesticides within the industry, and exposed gaps in Health Canada's oversight, including that it did not require product safety tests to ensure such chemicals weren't being used. The medical-marijuana industry is a precursor to the legalized recreational market, which is set to begin in mid-2018. A former employee of Mettrum Ltd. told The Globe he witnessed staff spraying plants with the banned pesticide myclobutanil as far back as 2014, despite them knowing it was prohibited by Health Canada. To evade detection, Thomas McConville said staff hid the pesticide in the ceiling tiles of the company's offices whenever government inspectors visited the site. In another case, The Globe arranged for a patient of Organigram Inc. to have several unopened containers of recalled marijuana tested at a federally approved lab. The results showed evidence of five unauthorized pesticides – three more than Health Canada knew about when the products were originally recalled. Health Canada also announced in May that mandatory safety testing on all products would be introduced prior to the government's plan to legalize cannabis for recreational use. That move came after Ottawa originally told The Globe that such steps weren't necessary because companies knew banned pesticides were illegal, and therefore shouldn't be using them. The introduction of financial penalties for companies who break those rules is the latest example of the government's attempt to crack down after the investigation. The fines are being welcomed by industry members and patients. Neil Closner, chairman of the Cannabis Canada Association, which represents roughly a quarter of the 80 or so licensed cannabis producers in Canada, said the fines should be effective in dealing with companies who don't want to follow the rules. 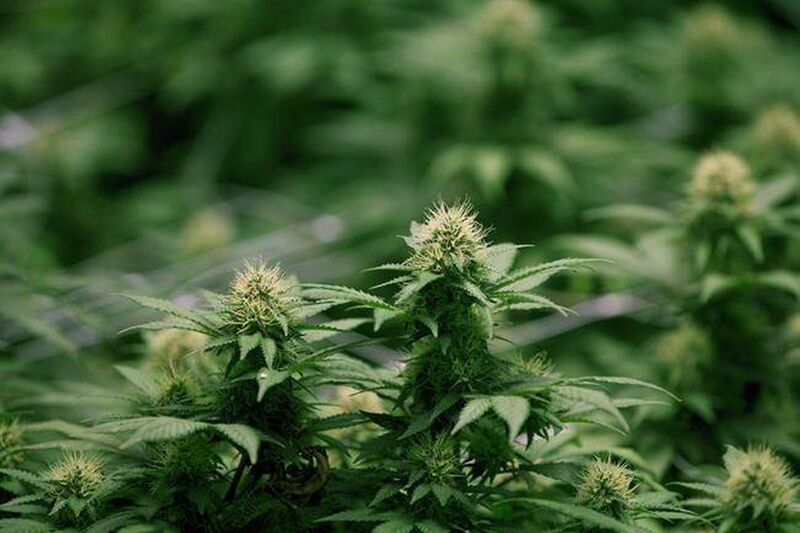 "We believe when fairly applied, [the fines] can be a useful and effective tool for Health Canada to ensure proper adherence to the rules if other mechanisms fail," said Mr. Closner, who is also chief executive officer of MedReleaf Corp., a licensed grower based in Ontario. Product recalls at several medical-marijuana companies over the past year have impacted thousands of people. The Globe's investigation detailed in August how patients who were prescribed the cannabis for medical reasons developed serious and unexplained illnesses, including severe weight loss, nausea and abdominal pain, after consuming products contaminated with illegal chemicals. One of those patients, Scott Wood, a former military policeman who was exposed to the chemicals after being prescribed medical cannabis for a serious back injury suffered while serving, said the fines were long overdue. Mr. Wood said he lost an alarming amount of weight, developed strange blistering rashes, debilitating headaches and lung problems after consuming medical cannabis that he believed was clean, but was instead contaminated with several banned pesticides. "I think it's a positive step forward," Mr. Wood said of the new penalties. "You would think the companies are all going to think twice before they use anything they're not supposed to." The fines are significant, given that the government will soon legalize recreational cannabis after it began issuing licences four years ago for companies to serve the medical market. The move will end nearly a century of prohibition. Cannabis consumption is expected to rise sharply when the legal market arrives next summer, as provinces begin selling the product online and through government-regulated storefronts. Mr. Wood, who sought treatment at the Mayo Clinic in the United States for his health problems, said he wishes the penalties were in place before he was prescribed the products last year. He said he hopes Health Canada uses the fines whenever companies are found breaking the rules. "I personally think it should be more than $1-million," Mr. Wood said of the penalties. "But at least they're taking a step forward." Mr. Closner said the scrutiny around pesticide use over the past year will hopefully make the industry "more vigilant" in the future. "This has only strengthened the industry," he said.